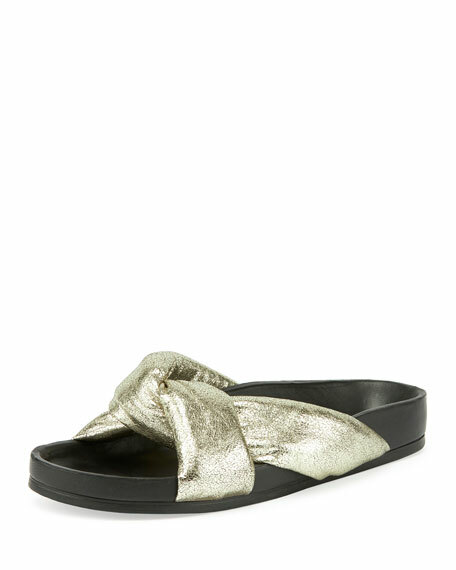 Chloe metallic crackled goatskin sandal. For in-store inquiries, use sku #2093210. 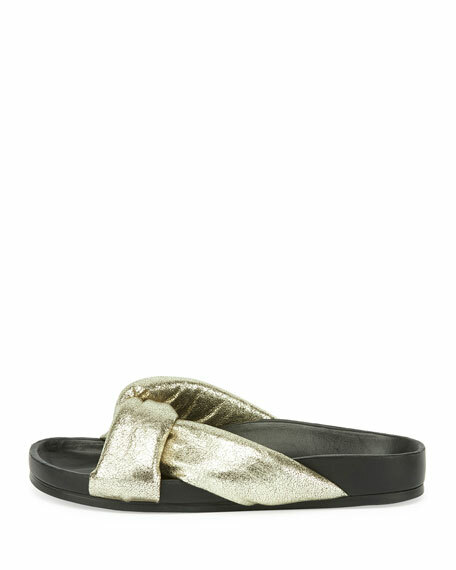 Bottega Veneta sandal in signature intrecciato woven calfskin. Available in multiple colors. 1" flat heel. Open toe. Faux-leather (polyurethane) lining. Slide-on style. Rubber sole. Made in Italy. 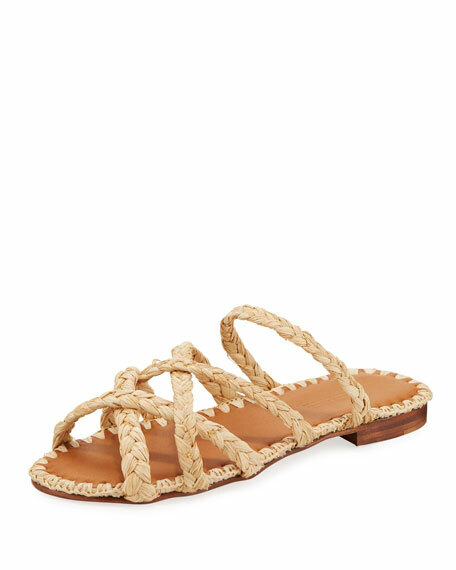 Carrie Forbes braided raffia slide sandals with leather trim. 0.5" stacked heel. Open toe. Layered crisscross upper. Leather lining and sole. "Noura" is imported. Exclusively ours. 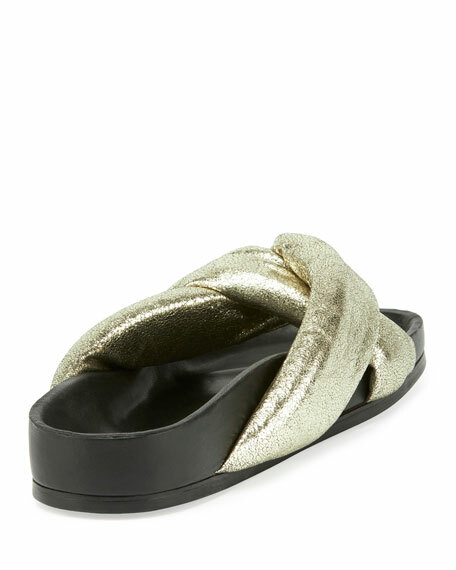 Jimmy Choo "Delila" vachetta leather sandal. 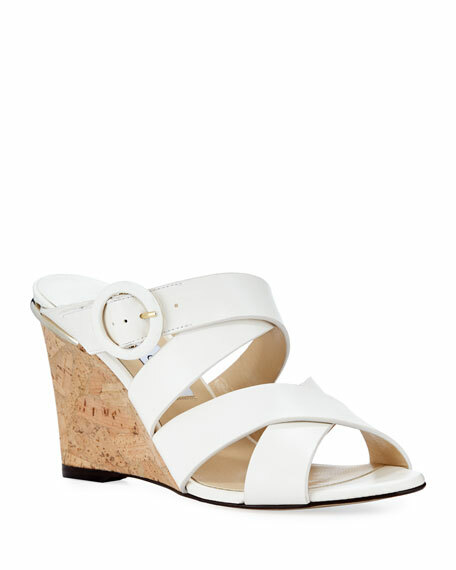 3.3" cork-wedge heel with metal trim. Crisscross straps band open toe. Buckle strap at upper. 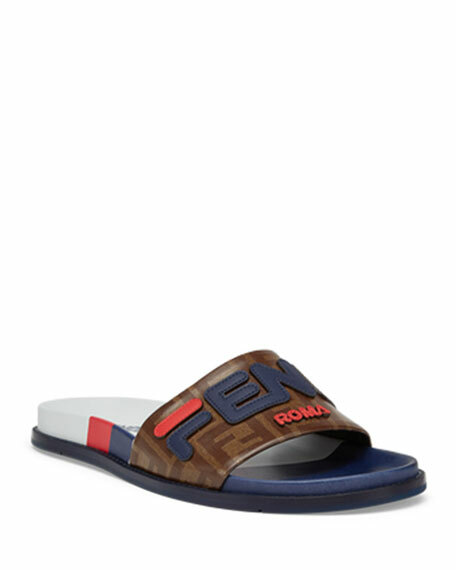 Slide style. Leather lining. Leather/rubber outsole. Made in Spain.